The area of ​​Bear *** is nestled close to the path of Saint-Jacques. At the southern end of Cantal and within easy reach of Aveyron and Lozere, the strength of this territory enchants lovers of authenticity. The many sports activities on offer are just a pretext to whet your curiosity. Culture, heritage and gastronomy participate together in the awakening of your senses. The small village of Saint-Urcize meanwhile, offers you the quality of an authentic and warm welcome. In the evening, back among us, enjoy under the stars, our wellness area The reveries of Phileas which offers a Finnish bath (water heated wood 36 degrees) and a traditional sauna also heated firewood accompanied from his cold bath. 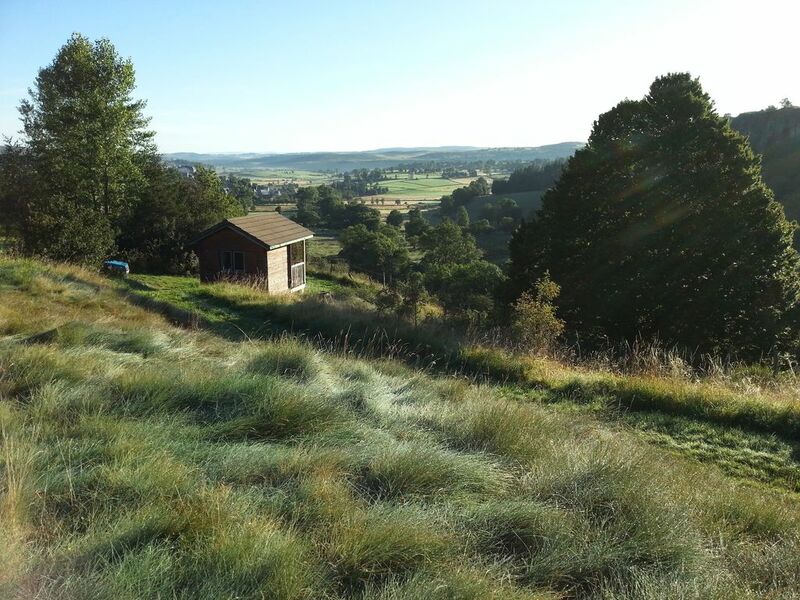 During the day, this wellness area will offer you a unique view of the plains of Aubrac and the village of Saint-Urcize, not to be missed! In a green setting, in the heart of unspoilt nature, the Ours *** estate spreads a succession of natural terraces facing the village. At the foot of the site, undulates an adorable river coiled in the bottom of an old lava flow. The nearby waterfall will enliven your intrepid swimming.